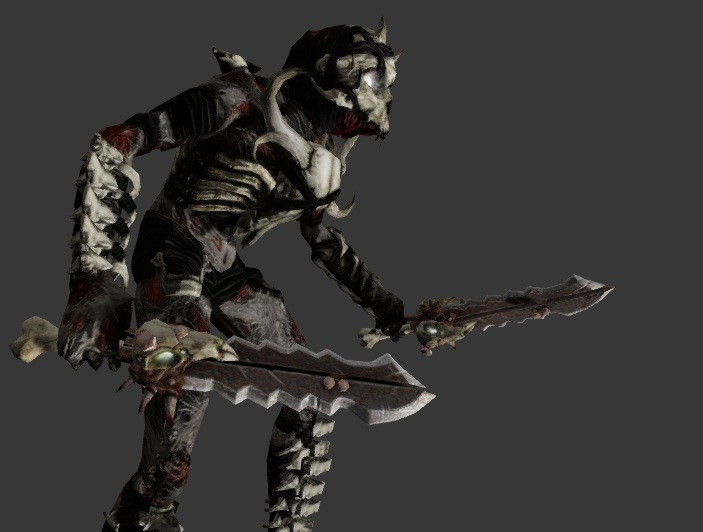 Tutorial: Importing and Exporting Skeletal Meshes for UDK. 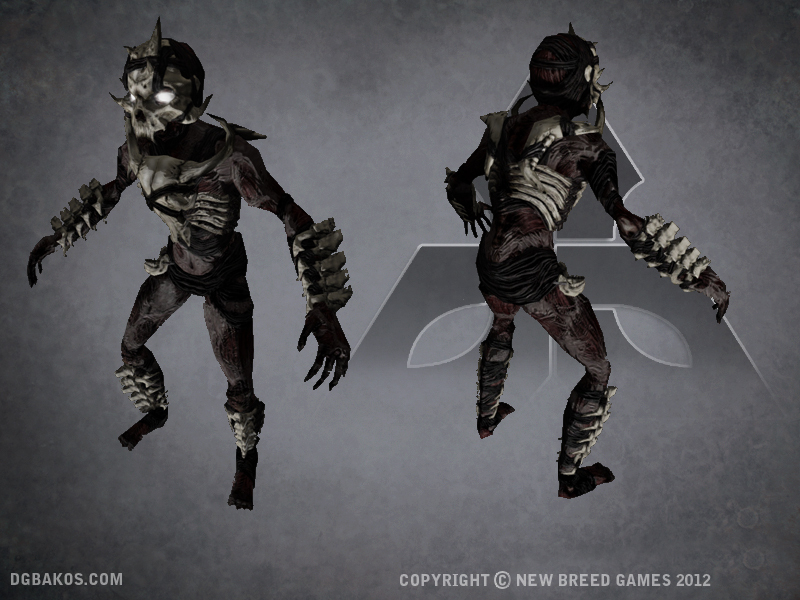 A dark fantasy/post-apocalyptic first-person shooter with real-time strategy elements, including the ability switch between first-person and birds’ eye perspectives in order to lead squads of the living dead against the desperate remnants of mankind. 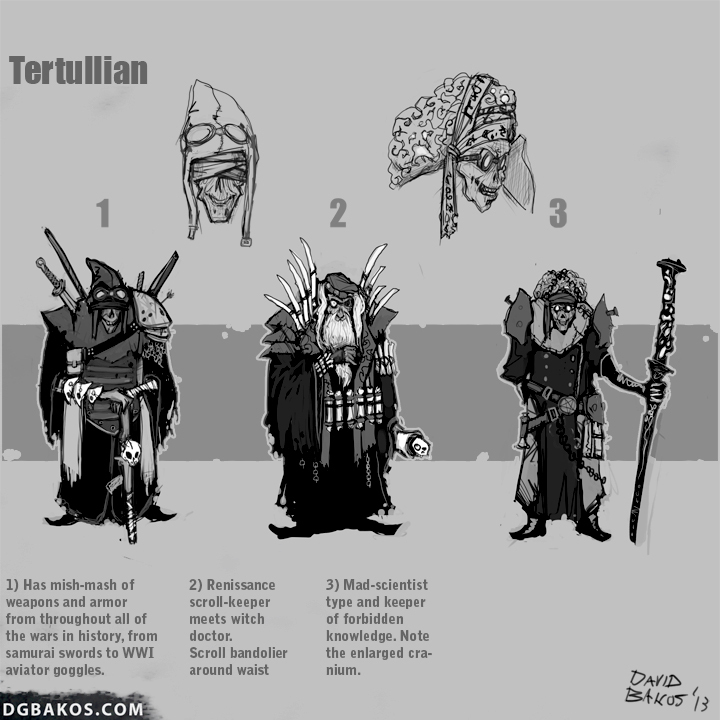 This was a very ambitious project from the outset, especially given our resources at the time, and while the team eventually decided to put the project on hiatus, it proved to be a valuable learning experience in terms of figuring out best practices and goal-setting for pre-production and early development on large game project. 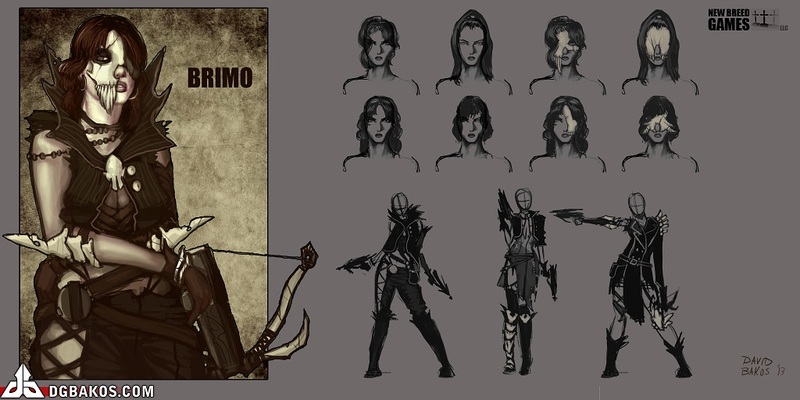 This character changed a lot during its development, with changes to the model often reflecting changes to development of the project overall. 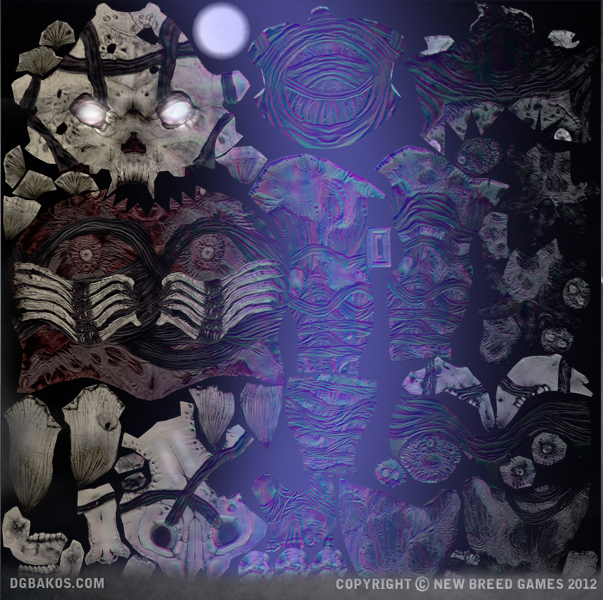 We wanted all of the characters to have separate limbs in order facilitate things like decapitation and dismemberment. Later on, we wanted to add detachable armor pieces that could be switched out by the player for more powerful equipment. First attempts at modeling the trooper in Zbrush. 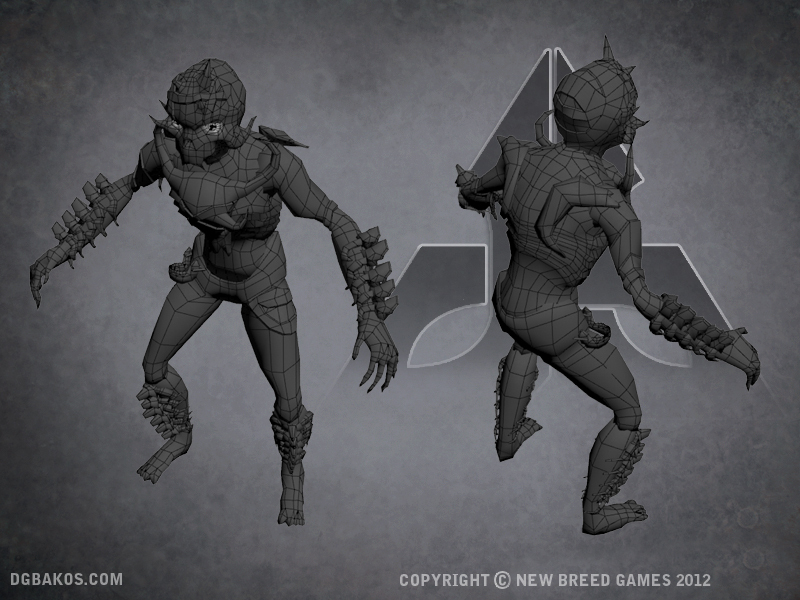 Didn’t have a solid concept going in so I ended up having to make a lot of time-consuming changes mid-sculpt. 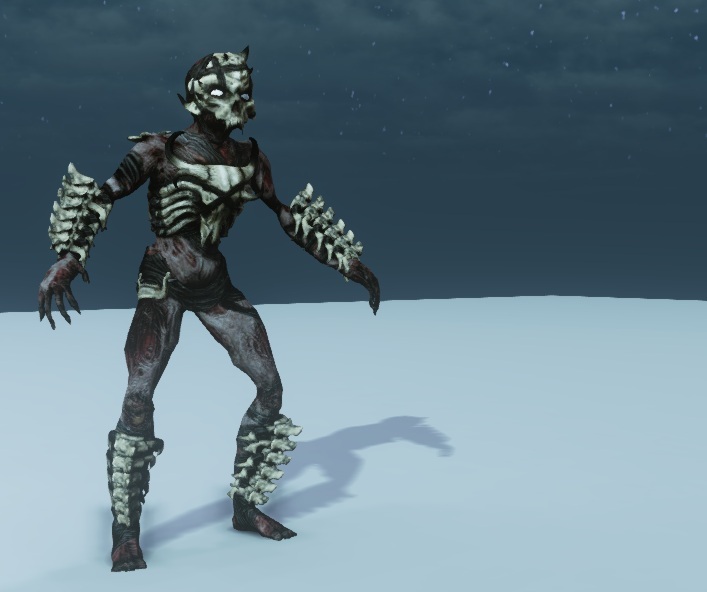 This was meant to be the basic enemy foot soldier and so I had to figure out how to make an ordinary human as menacing and as in-human as possible, which was an interesting challenge. A more scaled-back, “light fighter” version of the trooper. We wanted to go more minimalist, but still keep a sort of modern-meets-gothic look. 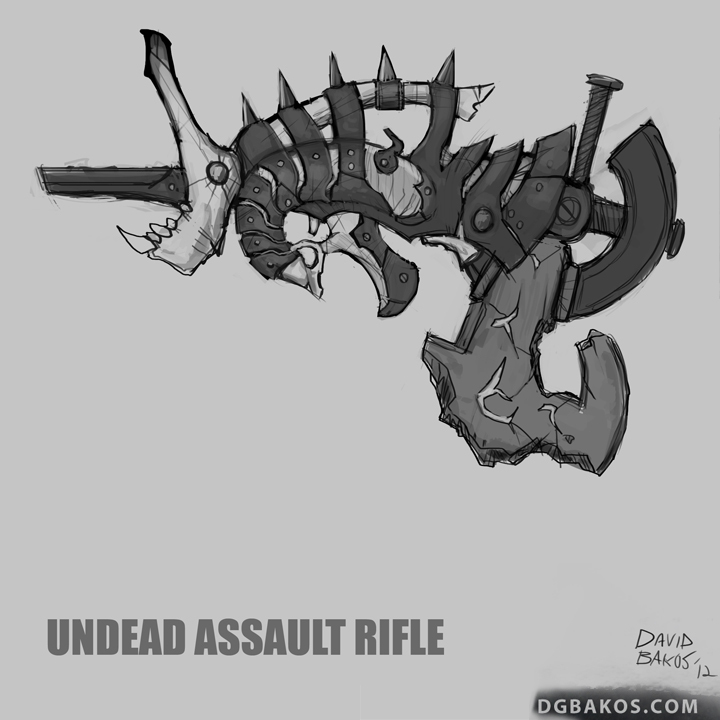 A few weapons concepts. 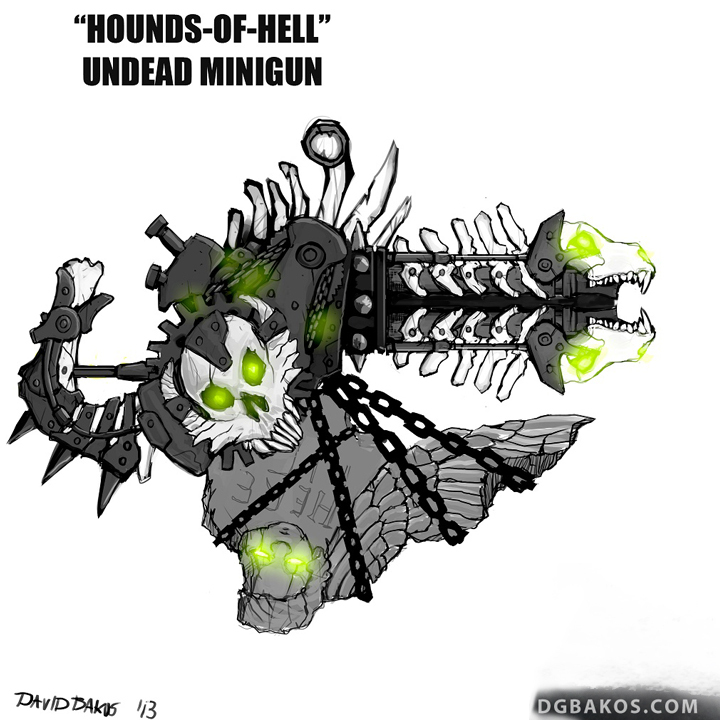 The Undead weapon lineup was really fun to design – as the weapons were based on the supernatural, their design and operation didn’t necessarily have to conform to conventional physical laws, although keeping the gun shapes and profiles closer to real-world weapons might have helped a lot, in hindsight, both from a modeling perspective and from the perspective of the player being able to quickly identify the relative firepower of an Undead firearm. A prospective layout for the tutorial level. 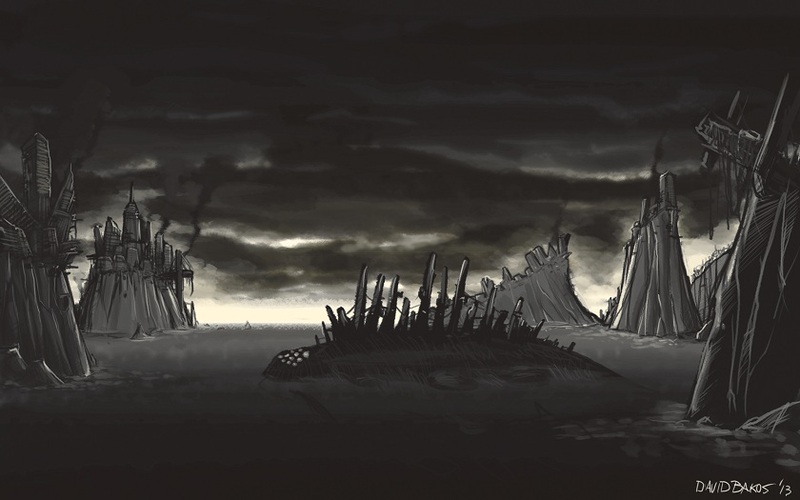 That the game was intended to include both RTS and FPS gameplay posed serious challenges in terms of level design, particularly as the first area of the game was underground, but was also contiguous with a larger above-ground territory. We ultimately decided it would be best to treat the entire area as a 2D plane and make the ceilings in interior and underground areas transparent while in RTS mode.